THE NEW YORK Times has a great online brand and business – and a print business that is imploding and dragging down the rest of the company.The NYT is one of the most successful newspapers on the web, but also on Twitter, with more than 2.6 million followers, handily beating, say, the Wall Street Journal’s paltry 482,000. To put this into perspective, that’s more than twice as large as the New York Times’ print circulation, which is slightly under a million copies for the daily copy of the paper. But the NYT is actually hugely successful online and has all the assets it needs to build a huge, lasting online brand instead of letting itself be disrupted by nimbler outfits like the Huffington Post. Email “Sign of the Times: NYT has twice as many Twitter followers as print subscribers”. 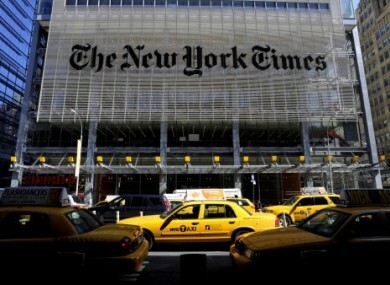 Feedback on “Sign of the Times: NYT has twice as many Twitter followers as print subscribers”.